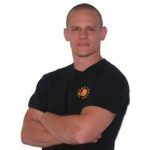 I start many of my self-defense courses by asking people what they think is the most important “tool” or “technique” or “principle” they can use for self defense. 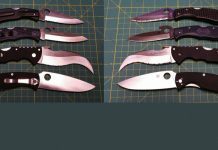 As you can guess, I get answers ranging from brutal moves which can maim or kill, to abstract concepts from experienced law enforcement and military. 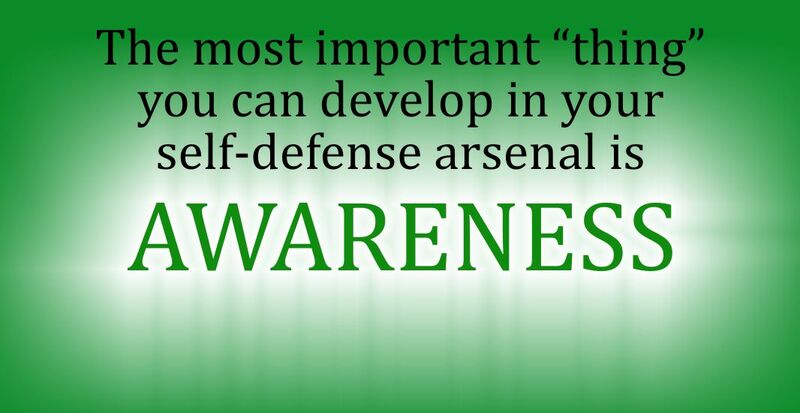 I then explain that the most important “thing” you can develop in your self-defense arsenal is awareness. If you look up the formal definition you’ll find that “awareness” means: “Knowledge of a situation or fact. Concern about a well informed interest in a particular situation”. I like how these definitions talk about knowledge or being informed in a “situation”. In self-defense a “situation” can be an actual scenario which is happening, or the environment or people we are with. 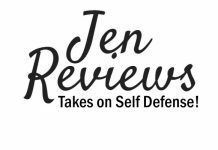 As any of my students progress through self defense classes, they find out why awareness is the most important attribute to have. On the surface awareness is about what range they’re in when the attack occurs and what techniques they can use to get out of the situation. However, the value of awareness is really understood when students grasp the importance of proactively planning and acting under stress. There are mainly two ways I teach how to plan proactively and how to act under stress. I use drills involving multiple opponents and scenario drills where students have to identify, maybe talk or not, decide, engage, not engage, fight or run. I teach how to be aware of not only your opponent(s), but escape routes, improvised weapons and even the surface of the ground (i.e. wet asphalt, snow, sand, slanted) which will help students to make intelligent and tactical decision. The worse strike you’ll ever be hit with is the punch or kick you don’t see coming. Anyone in the military will tell you that the attack they didn’t see coming, much less plan for, is the worse to fight through. 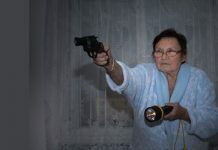 You’re dazed, confused, overwhelmed and recovering from some form of shock or pain while trying to protect yourself and, because of that, you are much less capable of inflicting any real damage on your attacker. The first key is to simplify this principle. I use a “traffic light” metaphor to break down a threat color code. There are two main elements which will affect the “color” of the situation, and the awareness level you should be at. The first element is people. You are either with people you know and trust, or you are not. For example, if you’re sitting home with your spouse or best friend, you are obviously with people you know, and don’t have to be on guard. However, if you’re in line at the airport café, traveling alone, you are surrounded by people you don’t know. By the way, if you are with someone you know, but there are also people you don’t know (such as if you are at a bar with friends), you are still “with” people you don’t know. The other element is your environment, or the “places” where you find yourself. In short, you are either very familiar with where you are or you are not familiar. I’m assuming you’re familiar with your house or apartment, and most likely comfortable if you have a common work place like an office. This could get grey, but don’t split hairs. I know you are probably comfortable at the restaurant you frequent, but have you ever been in the back kitchen? Do you know where all of the exits are in the shopping mall or sports venue you go to each week? What about the gym or park where you exercise almost daily? Are there places to hide or escape to if an emergency arose? Can you find objects to use as weapons easily in these places? My point is simple. Don’t confuse familiar with comfortable. There are probably several places were we are comfortable, but don’t know as well as we think. Furthermore, if there are other people who have easy access to an environment, it is probably not as familiar as we think. They can hide in places, block exits and manipulate spaces, making the familiar not so familiar. As a result, we have this “matrix” which simplifies the combinations of these elements. Let’s go through each of the six combinations, and I think you’ll see this is much easier than you might imagine. Green is the “relaxed” level where you know the people you are with and are familiar with the environment you’re in. A person’s home is the best example, when they are there with family or close friends. At this level you can put your guard down, and just “be”. If an emergency arises you should know where the exit is, weapons are or even where to hide. Yellow is the “elevated” level where you might be with people you know but in an environment you’re unfamiliar with (such as at a restaurant), or in a familiar environment with people you don’t know (at your place of business, when new customers walk in). Red is the “alert” level because you are in unfamiliar surroundings with people you don’t know. Think of any public transit location such as an airport, bus stop or subway. If you are alone or with someone you don’t know (i.e. you are escorting a manager from another office to yours), your guard should be up. The tips here are to walk and move with a purpose, scan at irregular intervals and try to identify one exit, one weapon and one ally in every new environment you move into. All of this information is academic if action or at least a plan of action is developed. Therefore, let’s go through each color and talk about exactly what you should be doing, related to your behavior and thought process. For example, we’ll start with the easiest, which is “green”, which is our relaxed level. What do you do? Remember, at this level we know the person or people we are with (or we might even be alone), and we are in a space that we are very familiar with. If you know where the exits are, and an environmental weapon is, then you can sit back and zone off at the TV, computer screen or book you’re reading. Always identify the closest exit, weapon and ally. These are the three keys you should always look for first. Ideally, you’re looking for the closest three. If a pool cue is on the other side of the bar, that improvised weapon may be hard to get if trouble breaks out. Sit or stand facing the most amount of the space and/or main opening/exit. In restaurants I like sitting in booths at or near the back corner of the room, and my wife now knows I’ll always want to sit facing the mass of the restaurant, which usually has the main door in sight. Identify an alternate escape route, or one that is not a common one. The best thing to do whenever any unplanned threat comes into your life is run, escape and get out of there. Don’t have the element of surprise work against you. Unfortunately when chaos appears the masses will run for the most common exit, jam it and many times make it impassable. So, for example, if you’re in a restaurant and trouble comes walking through the door in the form of an active shooter, a run away car or even a fire, going to an unclogged exit just may save your life. The same three keys are necessary: exit, weapon and ally. Find these three keys first, and find them as close to you as possible. Finding a close exit or weapon is easier than identifying an ally quickly, so let’s discuss finding an ally among unfamiliar people. As an example, when I get on a plane, I try to make eye contact and say a quick “hi” or ask a friendly question to who I guess to be the closest “alpha male” around me. As humans, we make quick assumptions about people, and if someone gives us a quick frown or scowl, we immediately assume they are a “cranky or rude” person. The same holds true with a quick smile or friendly question about what book they are reading or device they’re using. We generally assume they are nice, approachable and personable. Furthermore, we want to help nice people over those who are not nice and approachable. If we would ever need help with constraining someone or with some other emergency (use of a phone if ours is out of power, lost or damaged), approachable people would be more likely to help us. That is what I mean by identifying an ally. Worse case scenario, if we need help, we can quickly identify the bigger and stronger person and go to them for help. When around unfamiliar people, keep your distance. Sometimes we are packed in like sardines in an elevator or subway, and can’t establish a solid distance between us and others, but when we can, keep six feet between you and others. You don’t want to look socially inept, but you need to think more about your position in relationship to others. For example, while standing in line, could you step outside the line and turn sideways, so no one is directly on your back and in your blind spot? By positioning yourself in the corner of a room, would that give you a better vantage point than the others in the room? Once again, keep “distance and position” in mind when dealing with unfamiliar people around you. When around those people who we do not know, we need to develop the habit of “observing and scanning”. The worse thing you can do is bury your face in a book, computer or phone and never look up or pay attention to who is around you. If you use proper distance and position as previously talked about, observing those around you by scanning your environment at irregular intervals, this should allow you to still enjoy your book or take care of business on your phone. The goal is not to be paranoid of the people around you and it shouldn’t prevent you from engaging a person near you who wants a friendly conversation. Just don’t get locked into doing one thing, caught up in one person or even absorbed in a single event. In other words, don’t get distracted by an argument between a lady and customer service rep, while someone else is eyeing your computer bag. Observe and keep scanning. At the red level, you will use what you learned in the lessons for the yellow level. You are around people you don’t know and you are unfamiliar with your surroundings. That’s why in “red” circumstances we discuss more about “planning”, because there are more unknown elements to plan for. Identify the closet exit, weapon and ally. The nearest exit is actually behind me. I have a tactical folder knife on my belt, but also the chair I’m sitting in can be used as a weapon. The café is quite full, and there is a 6’2” approximately 225 lbs. guy two tables over from me with a woman companion. I gave him a head nod, and said hi with a nice smile. I grab a seat in the corner, which is closer to an emergency exit at the back of the building, as the front door is three times as far away. It is busy in the café, but I have one table between me and the closest customer. This could change, and someone could take the empty table, so at least I have a corner vantage point with a clear entry way to the hall with the back door. My time at the café is spent between me writing a business proposal, reading a book a colleague recommended, returning texts from that morning’s plane flight and checking email on my laptop. I’ve gotten into a habit of scanning the room quickly every new paragraph I write, every two pages I read, each text I write and every couple emails I’ll check. Other than that, I like to take breaks between tasks, so I’ll just sip my coffee and do some active people watching and observing. This could also be triggered each time someone new sits within 10-12 feet of me. The point in all this is to help you create new habits which take seconds to do once they are habits. If you think you might get caught up in your work while at the bus station, hotel lobby or eating a quick lunch at the mall’s food court, then set an alarm on your cell phone at 3, 7 and 9 minute intervals to train yourself to scan and observe. The more you practice, the more your unconscious mind will automatically find improvised weapons, alternate exits and you’ll be friendly to those around you. Like I said before, my wife knows where I like to sit in restaurants and paying a quick game of “What would you do if…” is fun when you can do it with your kids. This will help increase your family’s environmental awareness and make it second nature for all of you in no time. An active shooter entered through the front door? Back door? A fight broke out 10 feet from you? A car plowed through the front window? Someone approached you while you were sitting down, and had no respect for your personal space? You heard gun shots in the parking lot while in a store? You saw someone who looked suspicious on the plane? Who would you tell, what would you do? Playing this mental game will help you build awareness of solutions before they become problems. Let’s face it, once a problem arises, stress, confusion and chaos is common, and having the answer before hand is priceless. However, what is truly priceless is building the “muscle” of problem solving. It is unlikely you’ll think of the “exact” issue minutes before it will become reality, but if you do this consistently, and over 90 days come up with 20, 30 or 40 scenarios, whatever happens in real life will be a similar situation to one you have already thought of weeks or months before. Although specific scenarios can differ in detail, general solutions work to take care of many real life events. 1. Identify closet exit and weapon. 2. Position yourself in safe distances with people, with the best view of everyone. A common question I am asked is “What happens if you are mobile?” In most cases people are talking about two different situations, the first situation is when you are walking from one place to another. The second situation is when you are driving somewhere. When walking, or even running, biking or exercising outside for that matter, most of the time you’ll be at level yellow or red. People who are wearing headphones, listening to music or talking on their phones will be hearing impaired and will be at a minimum of the yellow level. Even walking around a town you know well without earphones on will be a yellow level. There is just too much changing stimuli to be totally relaxed. When walking or exercising, make sure you are walking with a purpose, scanning your environment and don’t be afraid to make eye contact with people. Let them know that you see them. When mobile in a car, especially around town when your speed is low and there are several traffic lights and stop signs (or even errand stops) scanning is extremely important, as is having an easy escape route. Never stop at a light or sign and zone out. Leave a half of a car space in front of you, and attempt to drive in the outside lane. Yes, you will be closer to pedestrian traffic, but you will also have an easier escape route via the shoulder or even sidewalk if need be. If you feel like you’re being followed in the car or on foot, complete a right hand turn “box” pattern which will put you back where you started. If the possible follower is still following you, then take the next step and find a busier location or drive to a police station, firehouse or even the emergency room at the hospital, whichever is closer. As I stated a few times in this article, the goal is not to stare at people like they are terrorists, evade any contact, walk around with your back against the walls completely consumed with every horrible event which “could” happen. The goal is to build new automatic habits which help you identify patterns of concern, whether it be suspicious looking people, bad parts of town or ways to protect yourself amid natural disasters. Once again, the worse hit is the one you don’t see coming, because most of us don’t go looking for trouble. Awareness not only helps you see the strike coming before it happens, but gives you a course of action if something does happen. Be the quiet, observing person in the room who listens to the cues and has a plan of action so you know what to do when trouble comes looking for you. For his Free Bruce Lee Jeet Kune Do 3 DVD Street Fighting program (only pay s/h), please go to Fearless Street Fighter.